The latest technology 3G pitch artificial grass is a fantastic alternative to natural grass and meets the FIFA, FA, IRB, RFU and RFL accreditations of the football and rugby governing bodies in the UK. 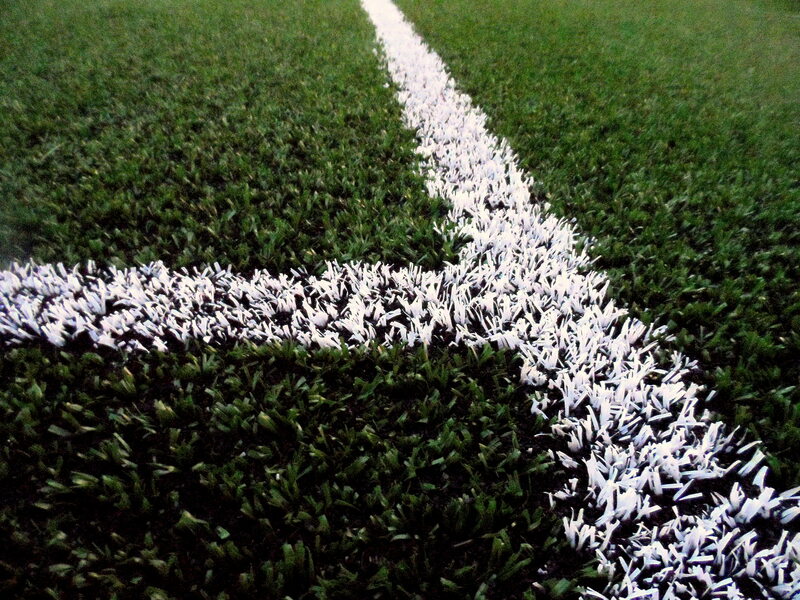 This type of synthetic surfacing ranges in pile height from 32mm hockey surface to a 60mmm synthetic rugby surface. A standard specification for football would be a 40mm third generation system over a preformed or in situ shockpad depending on the type of sub base. These different designs can be customised to suit your own facility so don’t hesitate to tell us if you have any specific requirements. 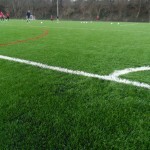 Simply fill in our contact form to speak with an expert today about prices and design options for a 3G pitch. 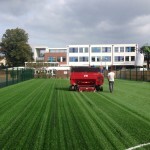 Schools – 3G artificial turf surfacing installed to eliminate the cancelling of PE due to bad weather. 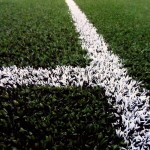 Colleges – Synthetic 3G pitches for use in after college activities, sports matches etc. Universities – Full size pitches for competitive football matches year round without a chance of waterlogging during heavy downpours. Leisure Centres – A sports surface with line marking for football, rugby and hockey opening up different avenues for rentals. Sports Clubs – Football, rugby and hockey clubs across the UK can utilise an artificial pitch to enhance their facilities. The 3G pitch construction would include excavation of exiting site and installation of porous sub base. The sub base used depends entirely on specification however will either be an engineered or dynamic specification. An engineered sub base includes a compacted stone followed by macadam laid to the correct tolerances. This provides a solid foundation for the installation of shockpad and artificial turf surfacing. A dynamic sub base includes an increased depth of compacted porous stone and a preformed shockpad in preparation for the 3rd generation synthetic grass. We are able to install various types of sport surfacing including the third generation carpet which contains a sand and rubber infill. This is applied within the carpet pile after the installation process is complete. 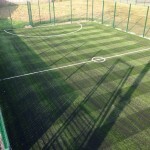 It is designed to create natural playing qualities and help keep players comfortable when running around on the surface. The overall specification can be customised to suit the sports you would like to play as these surfaces are suitable for multiple different activities. Just tell us what your primary sports are and whether you want to use the area for professional or recreational purposes. The video below shows the installation of a 3G football pitch that we completed in Lancashire. This project involved ripping up existing sand based synthetic carpet, excavating the existing ground, installing foundations and drainage system, macadam surface engineered base, insitu rubber shockpad underlay and laying the 3G pitch surfacing itself. 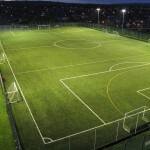 The project ran on time, on budget and the facility rent this out at night to football clubs and community groups. The carpet specification on this installation was playrite 60mm depth 3rd generation design infilled with silica sand and rubber crumb material infill. Have a look and if you have any questions on the project please do not hesitate to complete the contact form where we can assist any questions, costs or specifications. It is also possible for educational organisations to generate extra income by renting their 3G pitch facility after hours. Within the UK there are many suppliers we can purchase from including Playrite, Lano Sports and Rhino Turf. All these manufacturers of 3rd generation artificial turf have advantages where we are able to make sure our client gets the best value for money on costs because Rhino Turf, Lano Sports and Playrite all have various 3G synthetic pitch specification options to meet governing body accreditations like FIFA 1*, FIFA 2*, FA and IATS for artificial football surfaces, FIH for synthetic hockey pitches or RFU, RFL and IRB for artificial rugby surfacing. There are many different designs to choose from when it comes to installing a sports facility. We are able to offer advice on the best products to suit what you need for the activities you are wanting to play. We’ll also take your budget into account to make sure the whole project is completely affordable for you. Be sure to let us know how much you are looking to spend so we can design the specification around this. It is important to carry out routine 3G grass maintenance for these facilities to keep them clean and make sure they don’t become damaged. Regular use could lead to wear and tear of the carpet if it is not looked after properly, and the surface could become blocked and flooded if dirt and debris are not removed. Cleaning the artificial grass is simple as it just requires brushing through to keep the rubber and sand infill evenly distributed. We also offer a moss and algae treatment to prevent contamination, along with deep cleans and rejuvenation if the flooring does become dirty over time. We would recommending checking the area yourself on a regular basis to make sure there is no damage on the carpet. If there is anything wrong you’ll be able to get this fixed as soon as you notice it to make sure the problem doesn’t get worse and become more costly to repair. 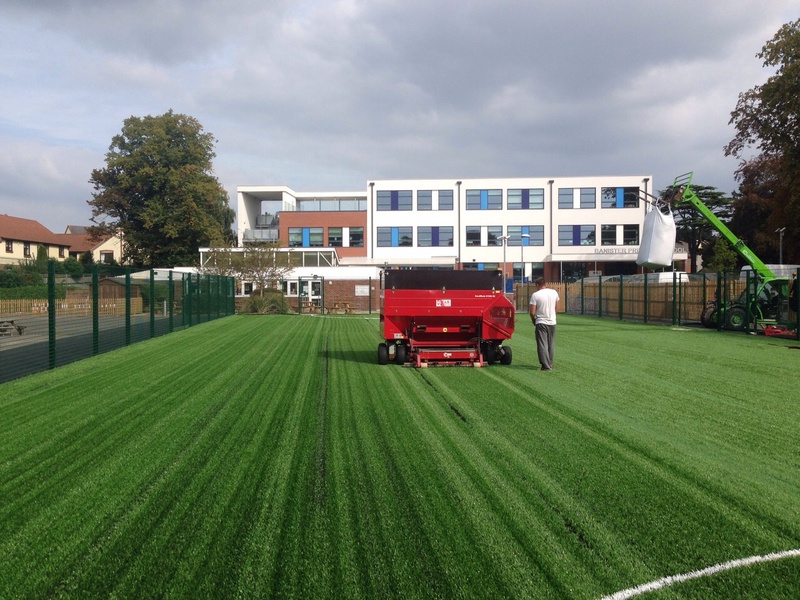 Our team have completed many installation projects for these facilities as experienced 3G pitch contractors working in many schools and clubs. The full construction process for a third generation surface varies each time depending on area size, budget and playing requirements, but we’ll be able to create a design which suits you perfectly. 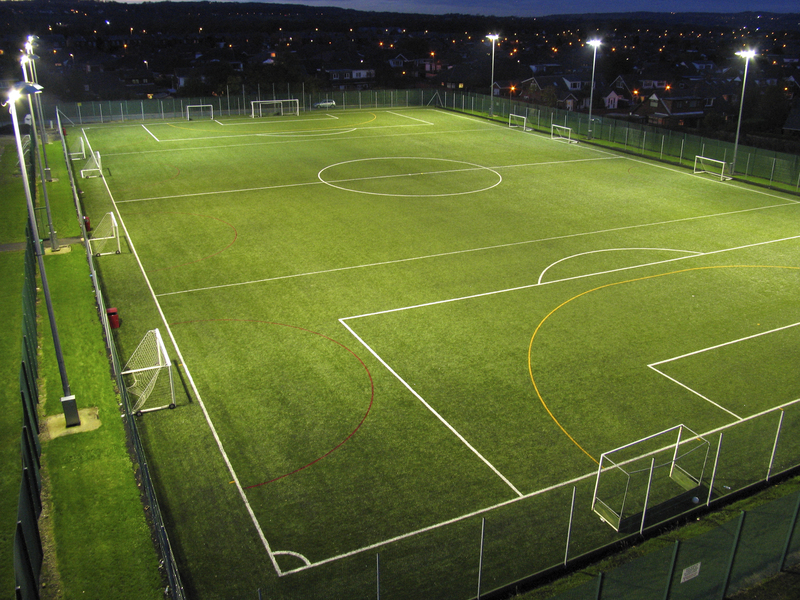 Extra features like rebound fencing may also be included if you want to make the area more secure, and we could supply floodlighting for evening use as well. All of our products can be tailored and adjusted for every client, so don’t hesitate to let us know if you have any specific requirements. We’ll do our best to make the work affordable and cost effective for you, so please inform us of your budget beforehand and we’ll be able to create an appropriate quote. We’d be happy to provide you with a quote for installing one of these surfaces at your school or clubs. The synthetic astroturf costs do vary for each project depending on the individual specifications, so feel free to speak with one of our team about this. 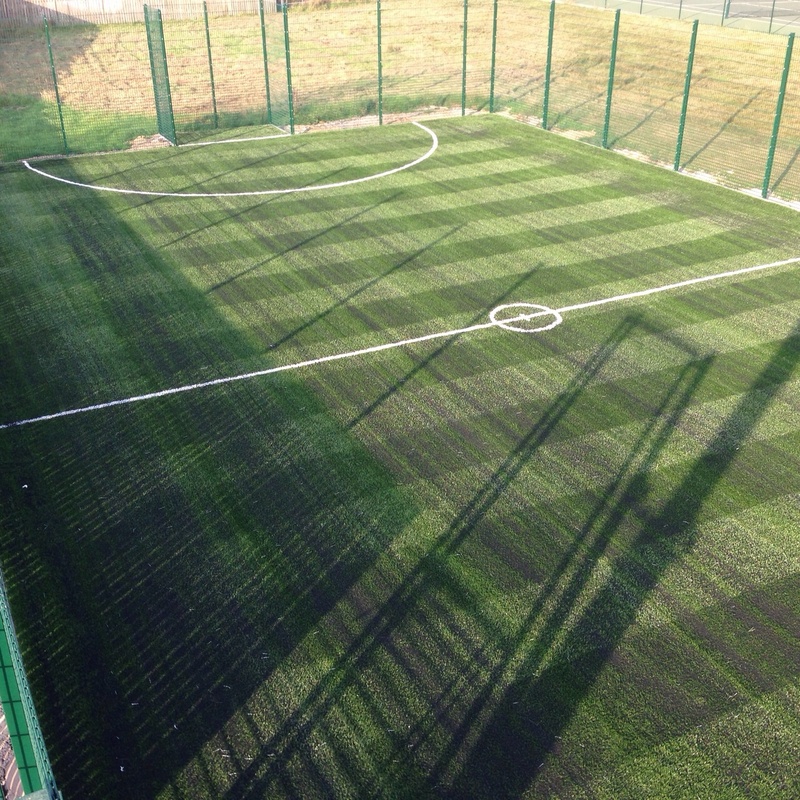 Please fill in the contact form on this page if you would like us to send you over some further product information about 3G artificial turf surfaces. A member of our helpful team will get back to you with some advice on specifications, designs and costs for this particular surface type.